Road surfacing labour needs to be highly skilled and highly flexible – and that is why Tripod Crest’s customers rely so heavily on our operatives across the full range of surfacing activities. 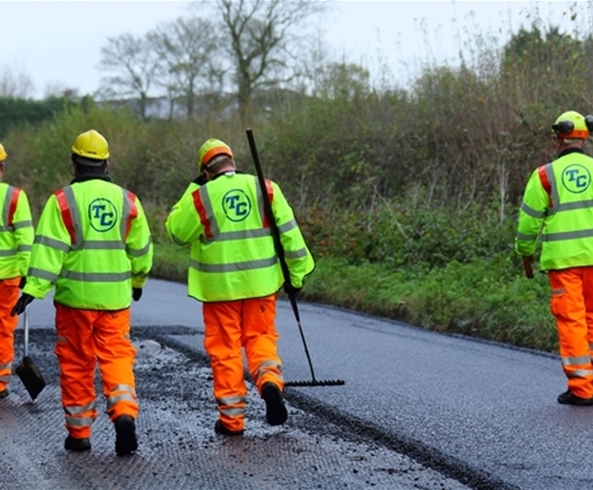 Whether you need resource for paving, planing or other specialist highways requirements, we can supply significantly sized workforces at very short notice. This applies to full machine gangs, hand lay gangs or any number of skilled operatives to supplement another team. Contracts can be on a daily, weekly or long term basis. As providers of specialist surfacing operatives, Tripod Crest ensures that all employees are regularly updated on the latest technological advancements and best practice. They have also recently attended an extensive theoretical and practical programme around machine maintenance, on site awareness and health and safety. All Tripod Crest staff are fully trained and have the expertise to complete projects to the highest industry standards. Our operatives and plant operators are CSCS and CPCS / NPORS qualified respectively. This initiative was part of our commitment to continuous development for all our employees. Not only did it ensure that we are all working to the highest standards, it also engendered employee engagement and a renewed sense of personal pride in everything we do. Labour hire is available on a national basis from our Midlands and Somerset bases.